New algorithm developed for plate parts auto nesting. 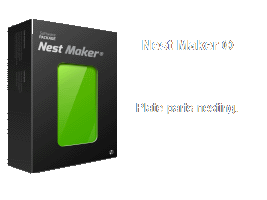 New auto nesting module for Nest maker was developed last year. Key feature of the auto nesting algorithm is in parts and layout representation. Instead of standard geometrical approach, parts and layouts represented as a raster elements. Optimal part position calculated as a maximal number of pixels of part’s boundary, which is connected to the layout’s boundary. At same time, this approach helps to speed up parts and layouts collision check, nesting in parts holes. The raster part’s representation is not depends from parts geometry. The same algorithm used for any type of parts. 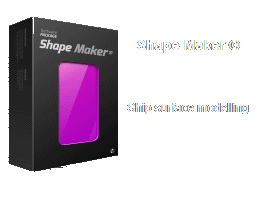 For example parts with internal holes or parts with complex outer contours can be processing same way. Optimization of the parts position is a parallel process. 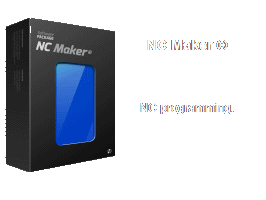 Module uses all available processor’s cores of the computer. For computer with four cores it will work four times faster. Nesting of the approx. 2500 parts on the computer with Intel® Core ™ i7 2720QM CPU@2.29Ghz processor takes about 20 minutes. Another interesting feature is interactivity of the nesting process. Operator can stop auto nesting, make changes in the part’s layout and continue process. Auto nesting can be used not only for all plate, but also for the part of it. Operator can select area where to nest parts. Interactivity gave a perfect combination between human brain and computer optimization. In most of the cases auto nesting results not required any manual corrections. 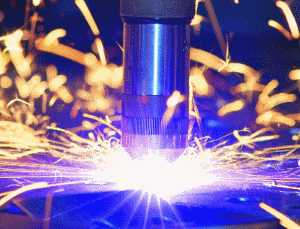 Some of our customers use auto nesting for preliminary calculation of the material order.